Left dentary of a currently unnamed lizard from the latest Cretaceous, from Longrich et al. (2012). Yeah, this is a pretty petty point, but what would this site be if it didn't pertain to pedantry? In the last week of last year, a paper was published in the Proceedings of the National Academy of Sciences of the USA on lizards in the latest Cretaceous and Palaeocene of North America (Longrich et al. 2012). The paper garnered itself a certain degree of media coverage because the authors chose to name a new genus after the current president of the United States, Barack Obama: see here and here, for instance. Because I was away for Christmas at the time, I've only just gotten the opportunity to look at the actual paper. One thing immediately sprung out at me (and those of you familiar with my dribblings have probably already guessed what I'm about to say): this genus has not been validly published. The description is not in the body of the paper itself, it is in the online supplementary info. The printed section of the paper does include very brief diagnostic comments, but does not include an explicit designation of type material. Despite the recent decision by the ICZN allowing electronic-only publication, the supplementary info in Longrich et al. (2012) does not meet the requirements for valid electronic publication. It has not been registered with ZooBank, and it does not contain any indication of having been registered. 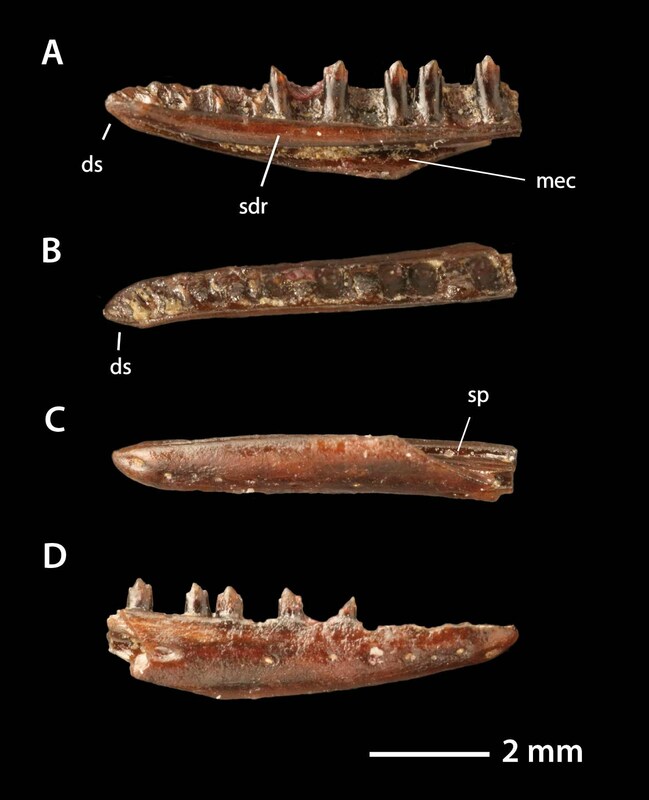 'Obamadon gracilis' is hence an unavailable name, as are the other described taxa 'Pariguana lancensis' and 'Socognathus brachyodon'. Sorry. Once again, the space-saving requirements of a 'high-tier' science publication has shafted nomenclature. I'd also be interested if anyone has comments on another potential problem. The supplementary info for Longrich et al. (2012) has been presented as a Microsoft Word document. I've no wish to argue the merits or otherwise of Microsoft Word per se—it's the word processing programme I generally use myself—but the ICZN requires that electronic publications be produced using a method that ensures 'widely accessible electronic copies with fixed content and layout'. PDF is not actually required, but is mentioned as an example of a format fulfilling this requirement. What about Word, though? Do you think a Word document can be regarded as 'fixed', or do you think that it is too easily altered after the fact? Longrich, N. R., B.-A. S. Bhullar & J. A. Gauthier. 2012. Mass extinction of lizards and snakes at the Cretaceous–Paleogene boundary. Proceedings of the National Academy of Sciences of the USA 109 (52): 21396-21401. As a MSWord document, I am going to presume that it won't count. Nor, indeed, supplementary online material: such are not meant to be part of the diagnostic factors involving taxa, which should always be in the body of the text itself. This sounds like a "not so fast" issue, indeed. Have you contacted the authors and PNAS on this? No I haven't, as yet. Wow, I'm glad you caught this, Christopher! These definitely don't count, for all the reasons you mentioned first, and then for not being in a document form which has fixed content and layout. Anyone with the software can easily edit a .doc file. These are not available names, and you'd think that PNAS, with all it's history, would avoid such a basic mistake. With the number of taxa described in tabloids like Science and Nature which use supplementary information because their page limits are so short, there must be other examples of this. I've just always assumed supplementary pages were agreed to have the same status as the main article. Supplementary pages don't have the same status as the main article because they're not formally printed. I do know of at least one other case where some new taxa in Science weren't properly published because of this issue. The taxa affected have since been made available elsewhere (Ren et al. 2010a, 2010b, 2011). Now that the ICZN rules have changed, it may be possible to publish new taxa in supplementary info as if in a separate electronic paper, but you would have to meet the requirements for electronic publication. The printed section of the Longrich et al. paper does, as I noted in the post, include very brief diagnostic comments on their new taxa. If they had also provided an explicit indication of the type material in the main article, then this may have provided the bare minimum for availability. But unfortunately, they overlooked that requirement. Ren D., C. C. Labandeira & Shih C.-K. 2010a. New Mesozoic Mesopsychidae (Mecoptera) from Northeastern China. Acta Geologica Sinica, English Edition 84 (4): 720-731. Ren D., Shih C.-K. & C. C. Labandeira. 2010b. New Jurassic pseudopolycentropodids from China (Insecta: Mecoptera). Acta Geologica Sinica, English Edition 84 (1): 22-30. Ren, D., C.-K. Shih & C. C. Labandeira. 2011. A well-preserved aneuretopsychid from the Jehol Biota of China (Insecta, Mecoptera, Aneuretopsychidae). ZooKeys 129: 17-28. Is it some problem on my end, or is the supplementary material of this PNAS article incomplete? It seems to contain descriptions of only three out of seven taxa the authors intended to name. Michał, you're absolutely right! I somehow managed to completely miss that not-so-little detail. The contents list at the beginning of the supplementary info document would appear to indicate that the document has been cut short: sections 4 to 9 are completely missing (and the references to further new taxa suggest that section 3 is incomplete). Ian: in terms of non-electronic publication, the combined paper + supp. info pdfs would not affect availability because it is the paper-printed section only that is not subject to electronic publication requirements. The combined pdf is still effectively an electronic-only publication. The presentation of the supplementary info as a Word document rather than pdf, and the lack of a combined pdf, is admittedly rather unusual for PNAS. I suspect someone forgot to update the Early Edition version. I've sent an e-mail to the corresponding author (and cc'd to the paper's editor) pointing out the issues with availability and the missing supplementary info, and suggesting that they print an appropriate corrigendum. Hopefully it gets cleared up easily enough (and hopefully I didn't annoy anyone too much). I've heard back from Nick Longrich, and he's hoping to get a correction printed before long. Yes, PNAS is still primarily a print journal. Well, I've checked out the print version now, and all I can say is that the editors of PNAS must be from the planet "imbecile"! None of the new taxa are validly named! Isn't it ironic that it is mostly these alleged "high impact" journals that just can't seem to get their head around zoological nomenclature? PDFs can be altered as easily as Word files; it only seems otherwise because the common tools don't support this. But even paper publications aren't very tamper-resistant, so I doubt anyone intended to require that. If there's a problem with Word format, it's that it's very complex, so software to read it is less likely to remain available. What's the point of the "fixed content and layout" requirement? It appears to exclude perfectly good formats like HTML or text without doing anything relevant. Is it an attempt to only recognize electronic publications that look like print? What's the point of the "fixed content and layout" requirement? The need for "fixed content" is fairly obvious, but I agree that the requirement for "fixed layout" is a bit more puzzling. The only direct argument I've come across for this is that it allows citation of particular places in the document (fairly common practice in taxonomy: a full list of citations for a name will often cite page number as well as publication), but this seems like an argument from familiarity myself (after all, there are other possible landmarks that could be cited such as section number or even bookmark points). At the moment, I can imagine a lot of resistance to electronic publications that don't mimic print, but we shall see how and if that attitude changes.